Hello! Today I am going to share my current favorite liquid eyeliner at the moment - Maybelline HyperSharp Liner Laser Precision. 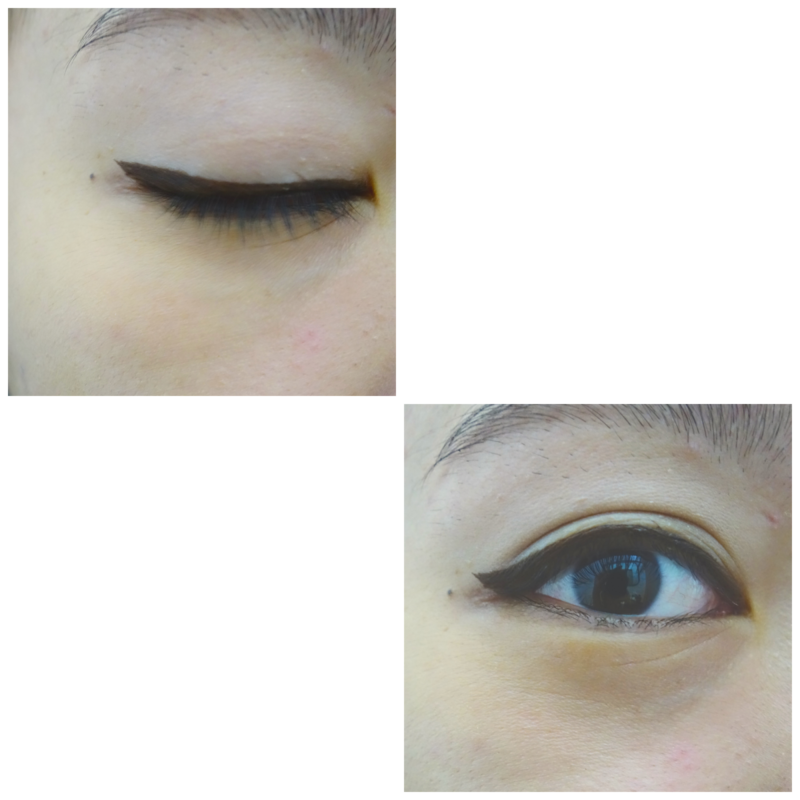 I've been looking for brown color eyeliner as my eyes tend to look fierce with super intense black eyeliner whenever I do the winged eyeliner. Anyway, here I have two different shades - Intense Black and Brown. 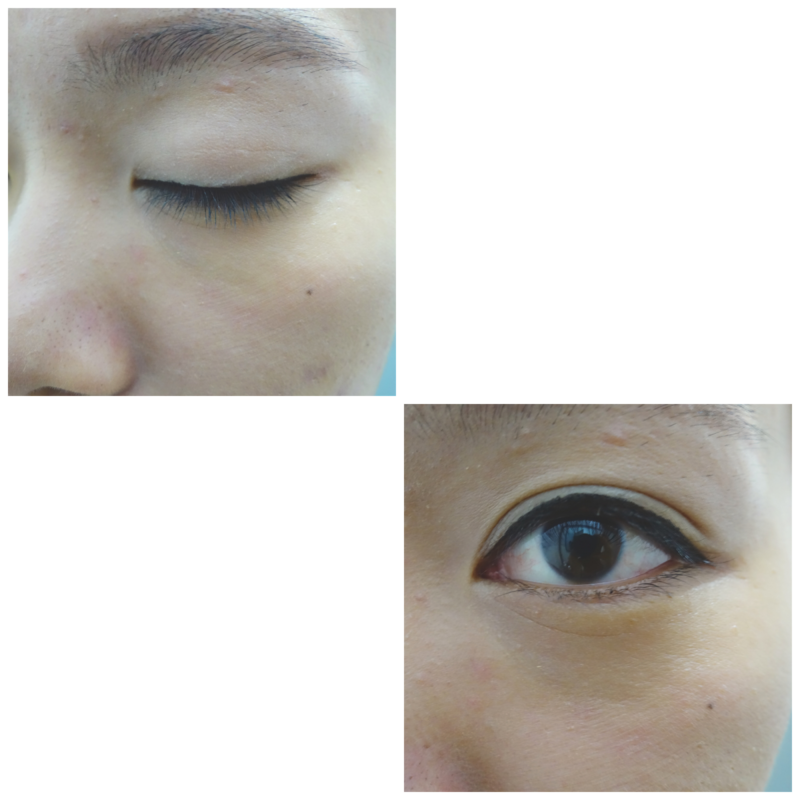 First 0.01mm eyeliner tip in Malaysia! With the ultra fine tip, you can draw your true self in ultra-precise detail like never before! Available in 3 colors - intense black, soft black & brown. I was so in love with this liquid eyeliner for the super easy application on the eyes. It creates a super fine line and buildable to your desired thickness. Look at how pigmented the intense black on my eyes! Oh, you're going to love it more because you can use this to tight line your upper lash line and it won't smudge at all! And no, no more panda eyes at the end of the day with this eyeliner as it stays all day long until I got home and remove it by using makeup remover. How awesome! I normally love to do the winged eyeliner with gel or pencil tip eyeliner. Most of the time due to the super soft tip or the tip not fine enough to do the flick! With this, I can do the perfect wing flick without fail. The brown color definitely softens the fiery eye look of me.